Boil milk add sugar and flavour(as mentioned) stir and switch off.Let it cool.Later chill. 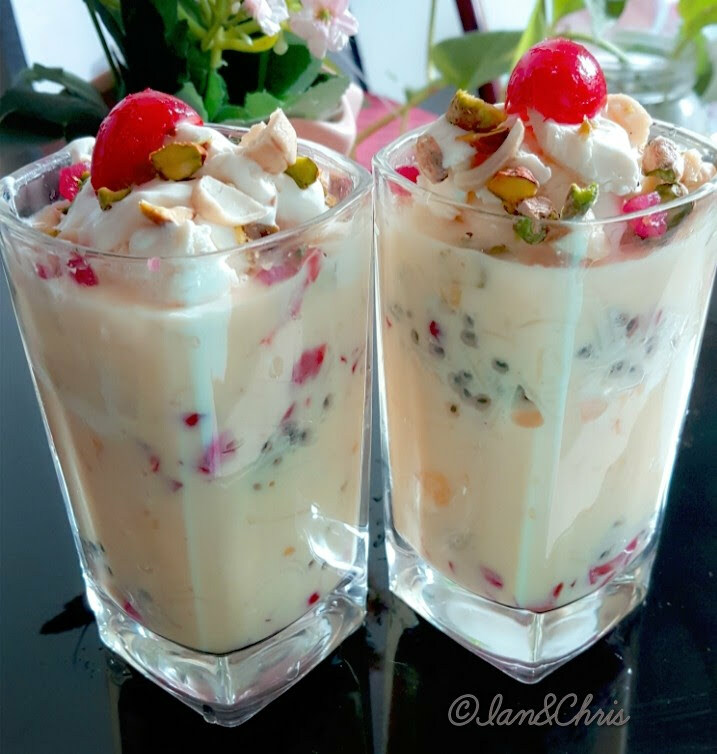 Now take a glass drop in a layer of tuttifrutti,then a layer of dry fruits,then a layer of sev and basil seeds. Add fruits upto 3/4th of glass.Now add a scoop of icecream. Again drop in tuttifrutti and dry fruits.Then sev and basil seeds.Now again fruits on top.Pour chilled prepared flavoured milk. Again drop in a scoop of icecream.Garnish with dry fruits and cherry. You can use jelly or syrup if you like…too to make it more colourful.